Embryonic development takes place rapidly. It is also a key area of study during drug safety testing. 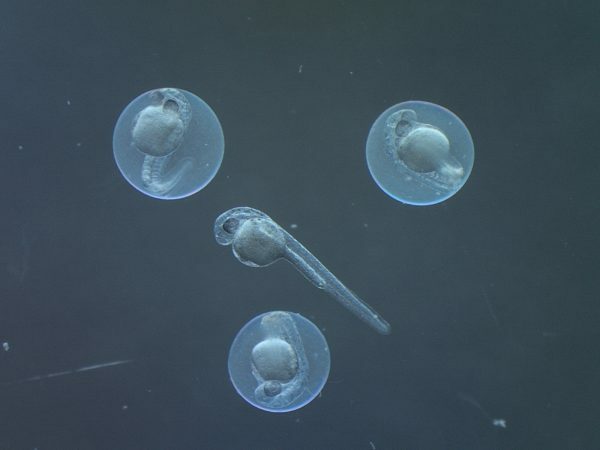 This photo shows thirty-day-old zebrafish embryos. 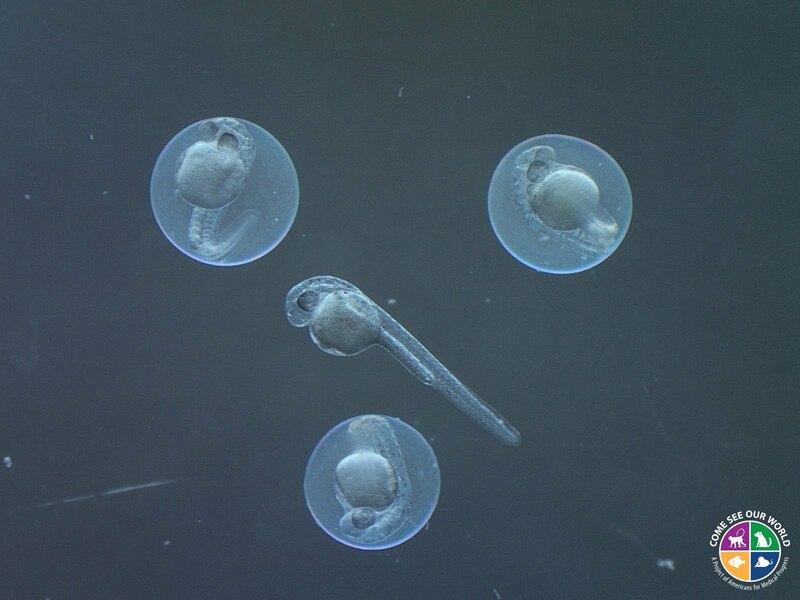 Because they are transparent, researchers can easily monitor the development of the embryo from fertilization to when it hatches as larval fish. The embryo in the middle has previously hatched. The other three embryos will likely hatch within a day. These embryos are large enough that they can be seen without a microscope. But they are still very tiny, measuring about four millimeters long.